If you already have an account, you may skip to step 4. Otherwise, create an account by clicking the "Sign Up" or "create an account" link on our homepage, or go to the sign up page directly. 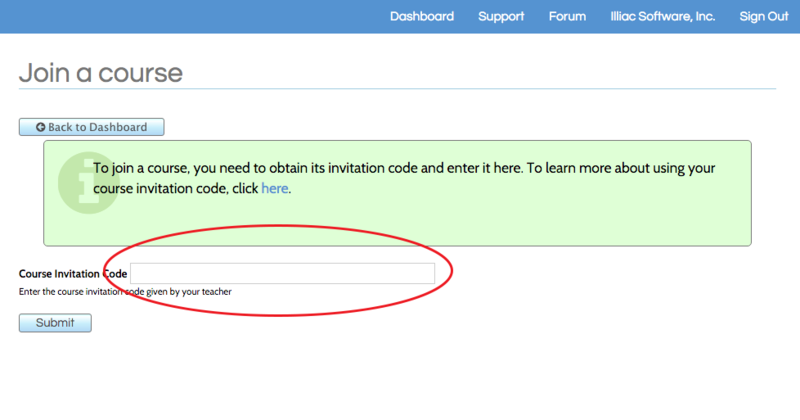 Create your account by entering your email address as your Illiac ID and choosing the "student" role. An email will be sent to the address you provided. Find the email we sent to you and follow the instructions (clicking on the link in the email) to set your password. Sign into your account on our sign-in page. Your dashboard should appear by default. If you don't see the correct page, click on the "dashboard" link as shown. 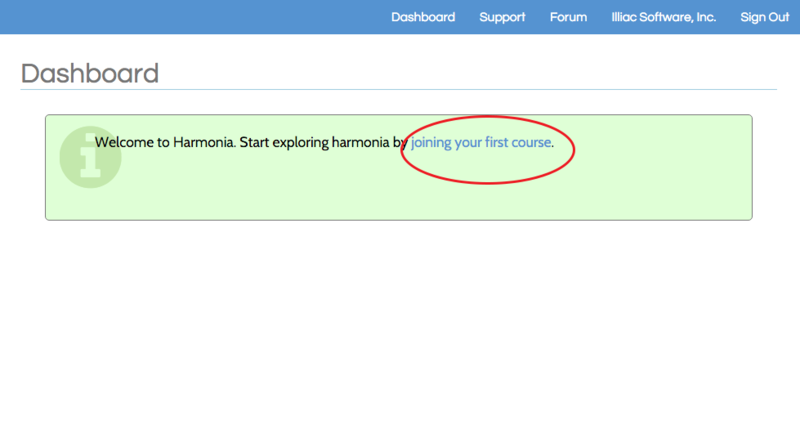 Click on the "Joining your first course" link as shown. Enter the course invitation code in the box provided. If your code was valid, a confirmation will displayed. If not, double check that you entered the invite code correctly. Wait for your instructor to accept you into the class. 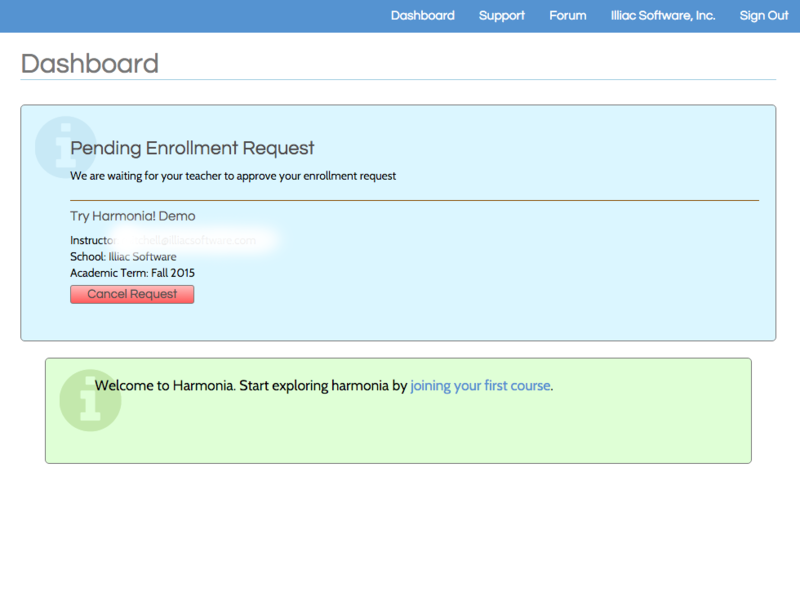 Once this is complete, open the Harmonia application and sign into the cloud. 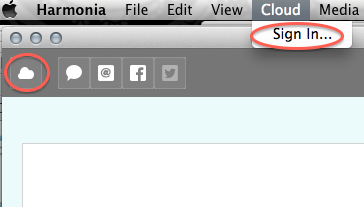 You can do this by either clicking on the cloud icon in the upper left corner, or selecting "Sign In" from the "Cloud" menu. 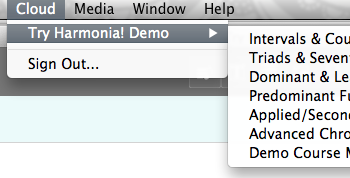 Uncheck the radio button "Sign in with demo materials" then enter your email address and password. Once you have successfully signed in, you can access the course materials from the "Cloud" menu.